Fans of The Sopranos all remember that final moment in the very last episode where the screen cuts to black. Some of us even thought our cable TV went out! All these years later, the show’s creator, David Chase, finally gives all the details about the scene and the music that drove it. David Chase, creator of The Sopranos, revealed to the Directors Guild of America how the popular Journey song “Don’t Stop Believing” was the perfect metaphor to summarize the end of the show that changed television forever. But that was the magic of the series. As far as The Sopranos‘ Mafia family seemed from our own lives, it also felt surprisingly familiar. That’s partly because we can all reference a time in our lives when we heard or maybe even sang along to Journey’s popular rock anthem. 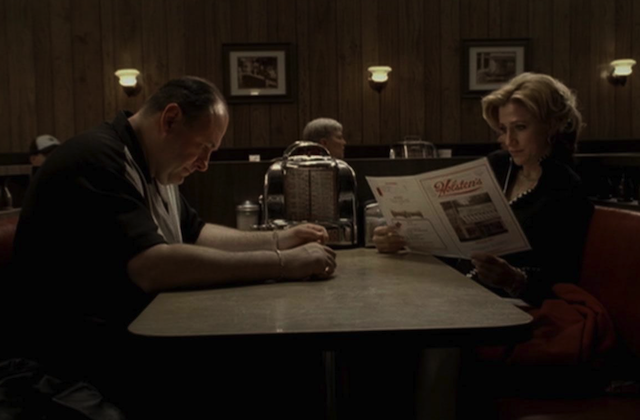 Chase admits that was his intention directing the scene all along when Tony (James Gandolfini) sits alone at the diner, waiting for his family. “Tony’s flipping through the jukebox; it’s almost like the soundtrack of his life, because he sees various songs. No matter what song we picked, I wanted it to be a song that would have been from Tony’s high school years, or his youth. That’s what he would have played. When I wrote it, there were three songs in contention for this last song, and ‘Don’t Stop Believing’ was the one that seemed to work the best. I think it’s a really good rock ‘n’ roll song. The music is very important to me in terms of the timing of the scene, the rhythm of the scene. The song dictates part of the pace. And having certain lyrics of the song, and certain instrumental flourishes happen in certain places, dictates what the cuts will be. I directed the scene to fit the song,” said Chase. 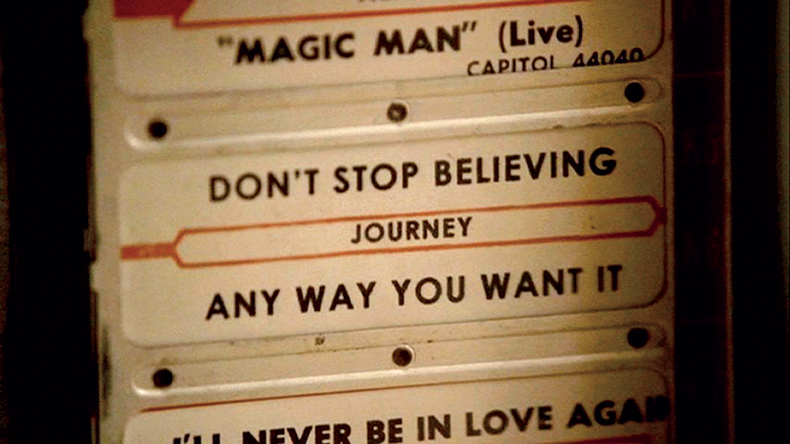 Chase went on to explain how the lyrics of “Don’t Stop Believing” relate to Tony and Carmela (Edie Falco). But probably the most emotional part of the scene is when Tony reaches across the table and lovingly touches his son’s hand. It’s a gesture of love and acceptance, a rare moment for Tony. 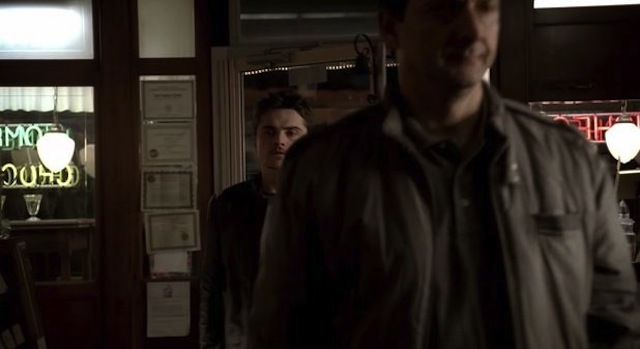 But it went deeper than just a moment between two actors playing father and son, according to Chase. Then there’s the ending, where the lyrics to the song go, “don’t stop” and the screen goes black. Many people interpreted this to be Tony getting shot and killed. What Chase couldn’t have anticipated is how the emotion of this scene is now compounded, knowing that our beloved Gandolfini died of cardiac arrest at the age of 51, just a few years after this scene was filmed. Very true. None of us gets to escape our own finale, and we’re suddenly looking at the show in a new way — almost as if it was a contemplation on death. It’s this unrelenting look at the light and dark sides of the human experience that may make The Sopranos the best television show in history. You can rewatch the final scene here.